MICRONESIA -- A real life "Castaway" story gets a happy ending when three men were rescued from a tiny, deserted island in the Pacific Ocean. The three men were heading to a small island in Micronesia when their boat sank. Wearing floatation devices, they swam over two miles to a tiny desert island. 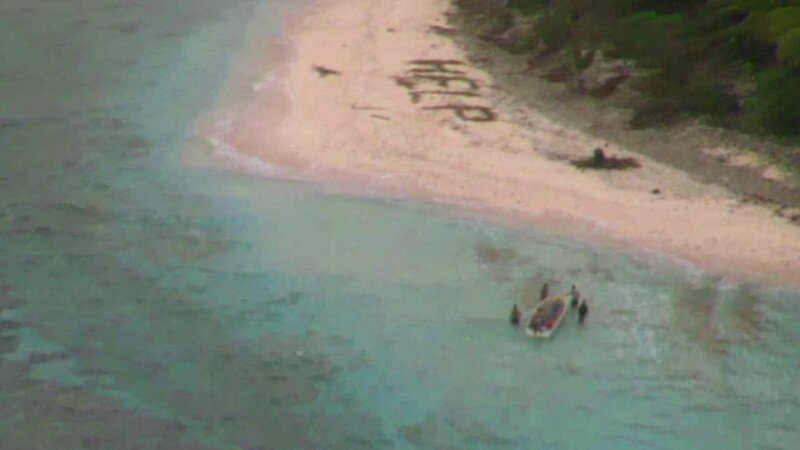 Taking their cue from the movie "Castaway," they used palm leaves to write out the word "HELP" on the beach. After three days stranded, they were finally seen. A local fisherman heard their location, picked them up and brought them back to their families.